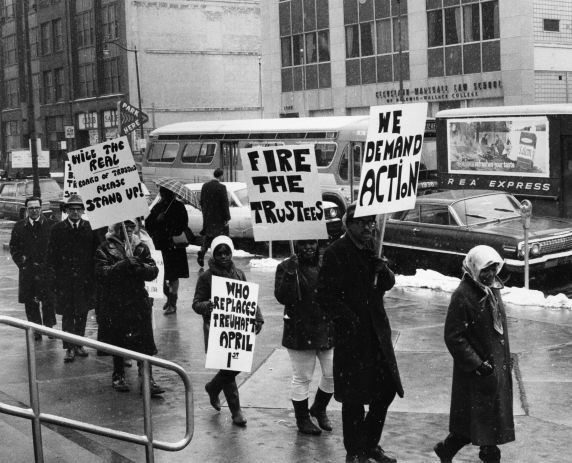 AFSCME Local 1746 strikers and supporters picket in Cuyahoga County, Ohio, 1967. AFSCME President Jerry Wurf traveled to Ohio to support local members who worked at Sunny Acres Hospital. The strike lasted 11 weeks and resulted in recognition of the local and a contract. See AFSCME Public Employee magazine issues February - May, 1967.